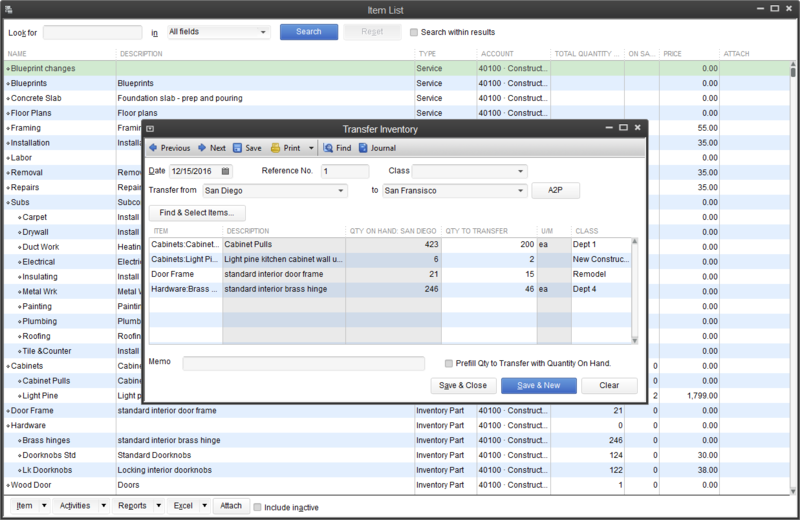 Advanced inventory software for QuickBooks Desktop Enterprise gives you the visibility you need into inventory accounting to make better business decisions. 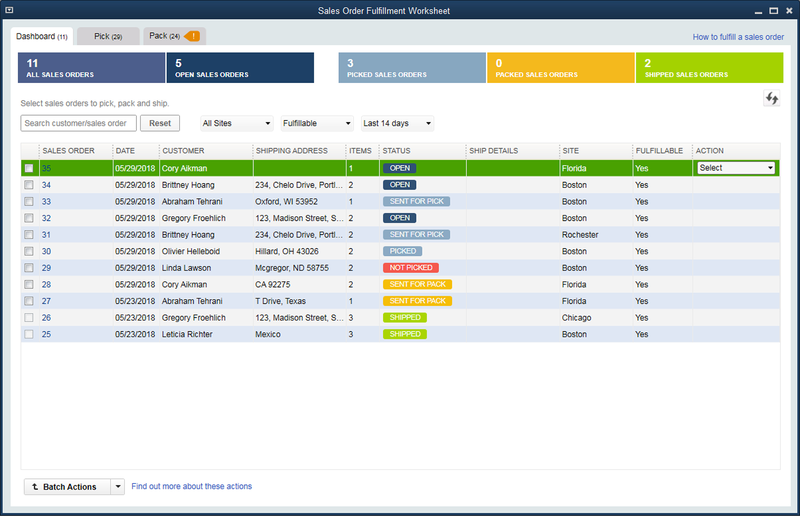 Manage sales order fulfillment from start to finish. 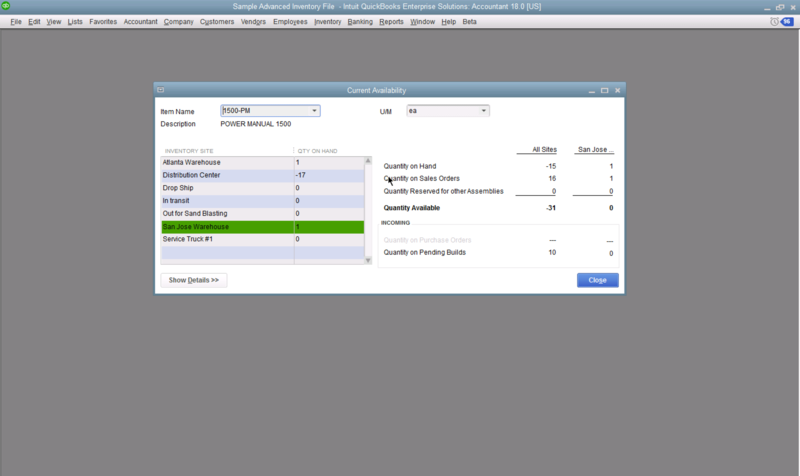 Three customizable inventory reports add flexibility and insights to your business: Inventory Valuation Summary, Inventory Stock by Item, and Assembly Shortage. Save time and effort by making receiving more automated. Mobile barcode scanning makes physical inventory management fast and reliable. 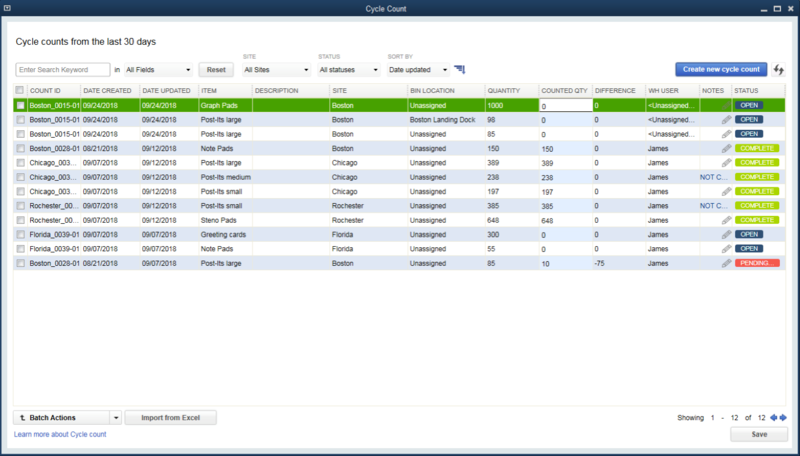 Easily track product movement and storage. Enterprise makes tracking products and materials fast and efficient. Track by bin location, serial numbers, or lot numbers.1 Find things quickly, reduce inaccurate inventory counts, and help avoid mis-shipments. Top inventory features and benefits. Track your inventory more easily with mobile barcode scanning.2 Scan anywhere there's an Internet connection2 or with a Bluetooth scanner and our mobile app on your Android phone. Speed up both receiving and picking, help reduce data entry errors, and send sales orders to workers on the floor or in another warehouse. 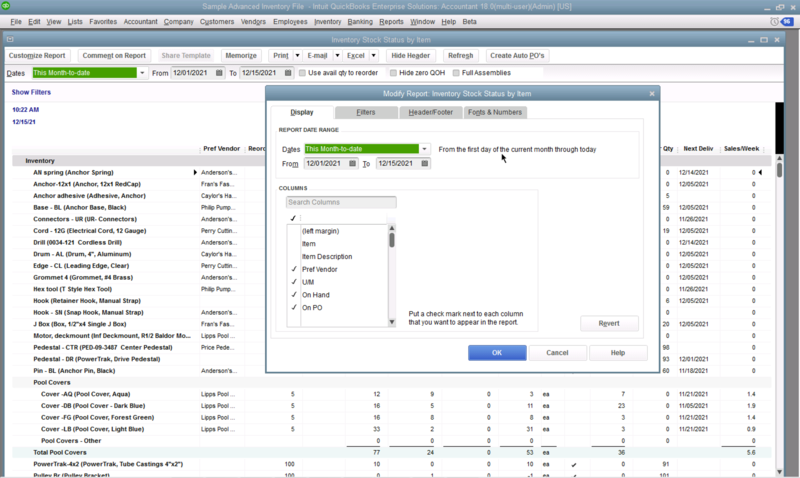 Add flexibility and insight to your business with newly customizable inventory reports: Inventory Valuation Summary, Inventory Stock by Item, and Assembly Shortage by Item. 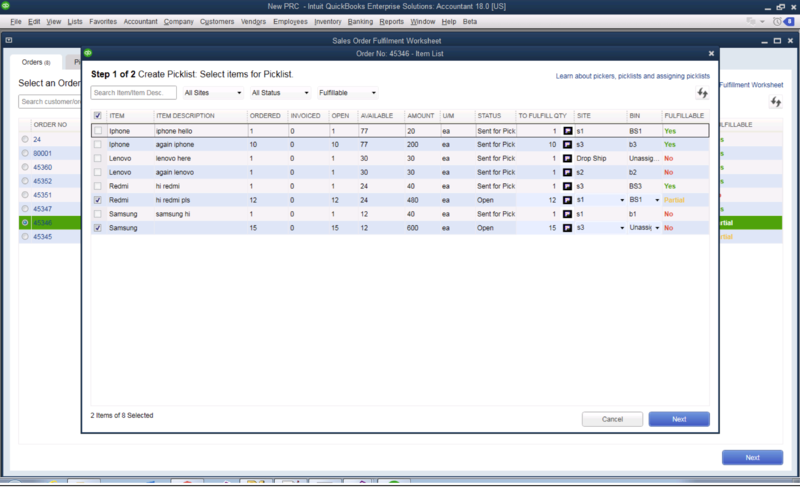 Plus, additional fields allow you to better track your inventory. For each location, you can see how many items are on hand, on sales order, on purchase order, and your reorder point. 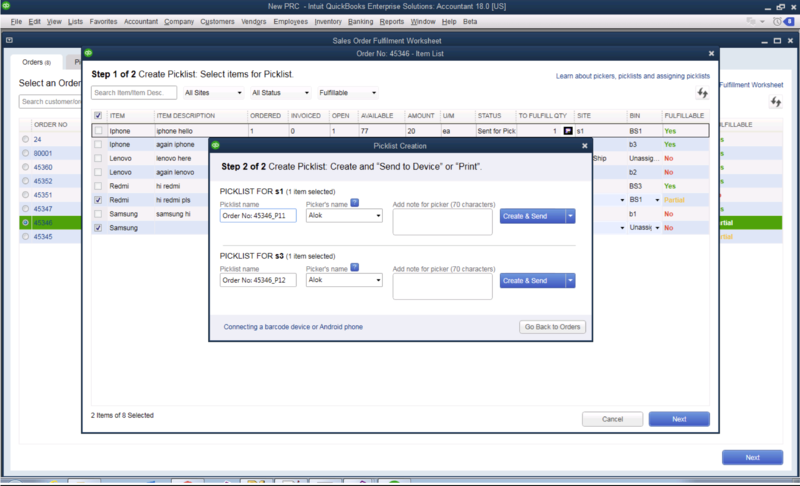 And QuickBooks will automatically calculate which items you need to restock. See what Enterprise customers are saying about our advanced inventory solutions. "It is very good software that we use as our ERP system at this early stage of our manufacturing company. The Advanced Inventory system does just what we need.... It is very intuitive and easy to teach to new users."